Following on from my 18 Summers Post I have been inspired to try to take the children out as much as I can. Usually on weekends we go for walks or to the park, they enjoy it as we have a fantastic park and lake near us but I want them to experience new events. Last Saturday was the first day of the Wales Air Show in Swansea. It’s a completely free event to attend! 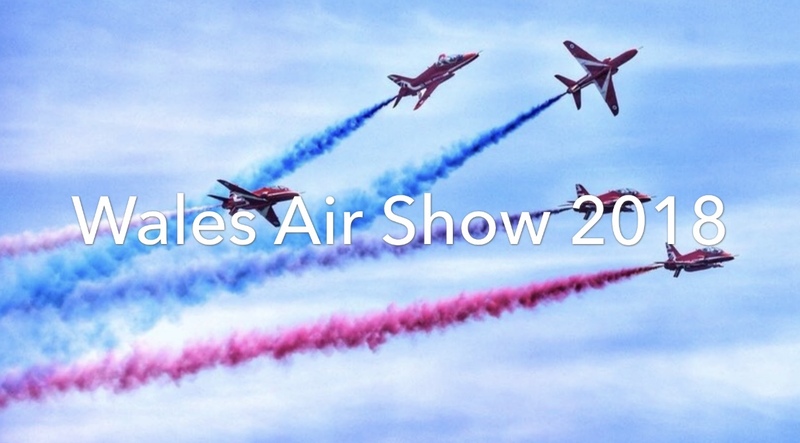 The Wales Air Show boasts breath-taking aerobatic displays, state-of-the-art military aircraft and vintage planes from the past. We headed down early as the event opens at 10am with the air displays starting at 12.30. When we got down to the beach the kids couldn’t wait to see what was going on. There were lots of stalls and displays to see including flight simulators, although these were a little pricey at £5 per person. 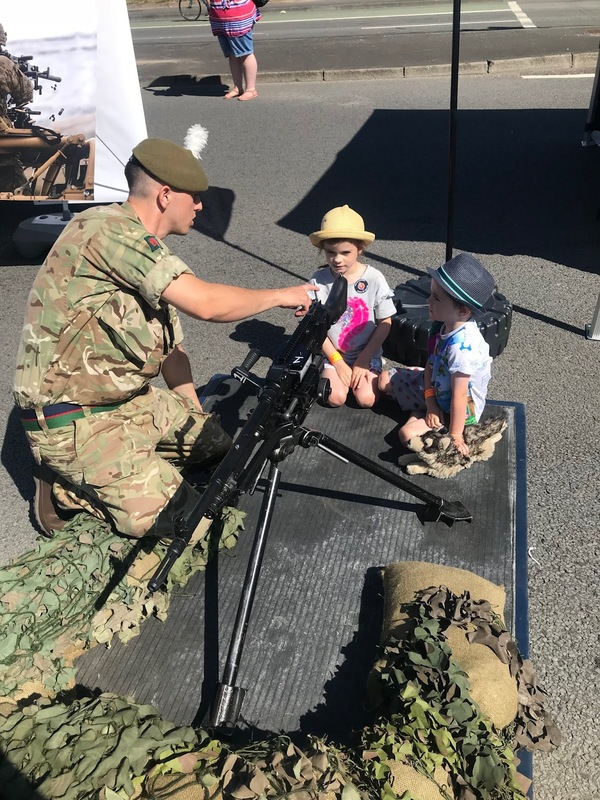 The kids enjoyed looking at the guns and armour and even got the chance to sit in one of the Red Arrow planes! 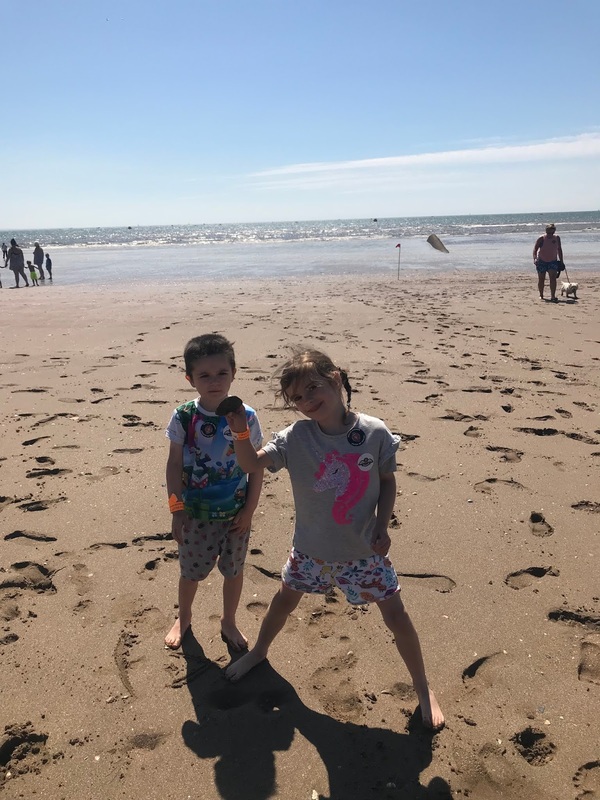 Swansea Bay is a great location for this event as the beach in itself keeps the kids occupied. They enjoyed collecting buckets full of shells, building sand castles and chasing each other around with seaweed! The first air display was the RAF Falcons Parachute Display Team, they put on an amazing show and landed on the beach right next to us. The kids were in awe! What I liked about the show is that you weren’t waiting around for the next planes to start. It was continuous as one left another arrived. We saw wing walkers and helicopters and the P-51 Mustang was spectacular! Red Arrows, RAF Chinook and more! Also on display was the RAF Red Arrows, RAF Chinook, Gyro Air Display Team, The Bremont Great War Team and many more. Although we didn’t stay for the whole day, as my little ones are only 4 and 5, we thoroughly enjoyed the day and we will definitely be returning. 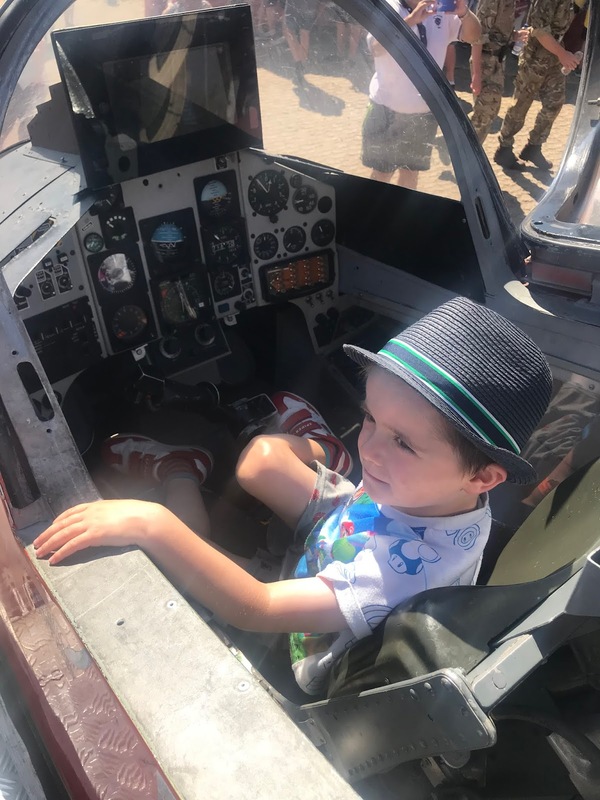 I would highly recommend if you get the chance to go you should it truly is an amazing sight to see and I loved the sounds of the planes too it was exhilarating!See my video below for all of our highlights!